For the next 11 days, the baths will be one of the host venues for the Sonica Festival. Sonic artists from across the world will be exhibiting and performing in 14 venues across Glasgow. At the baths we have Robbie Thomson’s “A New Alps” in the main pool and the world Premier of “Order and After” by Indonesian artist Jompet Kuswidananto in the Ladies pool. The events are open from 12 each day through to 8pm, entry is FREE. “We are delighted to host such a prestigious event and, once again, bring world renowned artists to Govanhill”. The Govanhill Baths Community Trust (GBCT) is delighted to announce that it is committed to seeing everyone who works at Govanhill Baths receive, as minimum, an hourly wage of £7.85. At present all GBCT staff are paid higher than the Living wage. GBCT’s committment to the Living wage began in 2013. GBCT Manager, Fatima Uygun said, ‘As a key voluntary sector organisation in Glasgow we would urge other Third sector organisations to do the same to ensure that workers wages reflect the real cost of living, rewarding a hard day’s work with a fair day’s pay’. 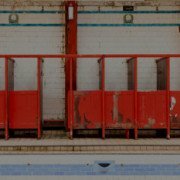 Heritage Lottery Fund announced a new “first round” funding package for Govanhill Baths Community Trust that means refurbishment of the building can begin soon to bring swimming back to Govanhill. The award, coupled with other funding packages will allow the Trust to start work towards repairing the “Ladies pool” “Teaching Pool” and Turkish baths and sauna. It will also allow us to repair the roofs, walls and structure of the building to prepare for further development in the future. 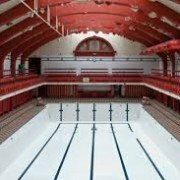 Ros Kerslake, Chief Executive of The Prince’s Regeneration Trust, said: “This is fantastic news for everyone who supports the revival of Govanhill Baths. “We are very proud of the important role that PRT played in securing this vital HLF funding, including writing the application, developing the outline business plan and putting together the key strategic partners for the project. On Saturday, all day, Govanhill Baths will host events as part of this year’s Southside Film Festival. Starting on Saturday morning, Rags to Riches and Southside Film present “Making in the Movies”. The day begins with the monthly Sew Lah Tea Dough meet-up, there will be a mini version of our annual “this is not a craft fair” with work from some of the top upcyclers and films running all day in the studio, converted to a cinema for the day, screening films on the subject of upcycling and recycling. From 2pm “Transit Artists” will be showing films On a screen from a van in the gardens at Kingarth Street. 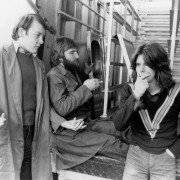 In the evening we have a special double bill with a one-off screening United We Will Swim… Again, Fran Higson’s film about the Baths campaign, followed by Bill Forsyth’s classic That Sinking Feeling, produced by Fran’s mother Paddy Higson. If you cannot make the screening of the Baths film it will be screened again on Sunday 18th October at the CCA as part of a Camcorders Guerillas retrospective at Document, the Human Rights Film Festival. A videoteque preview of that retrospective will be in the Baths foyer from today.